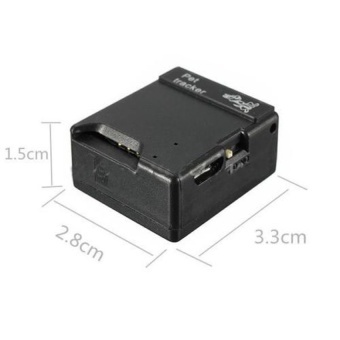 This mini tracker is a product based on the GSM / GPRS network and GPS satellite positioning system, It can track and monitor remote target by SMS or internet. Simply insert a GSM sim card into the GPS unit. Whenever you call the unit it will respond with the coordinates of its location thru a SMS message. You can then use these coordinates on any mapping software (for example google earth) which will show where exactly the unit is located. 3. Call the SIM card installed in the device,and hang up after the beep,soon the tracker will reply with a text message with the GPS information and battery information. The GPS information can also be viewed on your PC,just enter the address in the browsers.